Witnesses are being sought after a woman was chased, punched and forced into a car, with a man being arrested on suspicion of kidnap. Officers were called to the A44 Woodstock Road near to The Turnpike pub shortly after 1pm on Thursday (June 21). 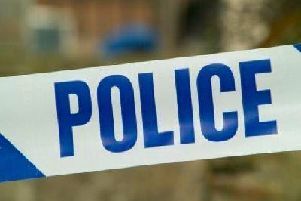 There were reports a man was chasing a woman who had fled from a car they had both been travelling in from Woodstock towards Kidlington. The man chased the woman and he has been seen to punch her several times when she was on the ground. He then forced her back into the vehicle, a grey Nissan X-Trail, which was then driven towards Kidlington. It is understood the female victim had blood on her face following the assault, and that she was known to the offender. A 38-year-old man was arrested on suspicion of ABH, affray and kidnap – he has been released under investigation. Specialist Investigator Kirsty Harris based at Banbury Police Station, said: “Prior to this incident, the vehicle mentioned was being driven erratically. “It is thought it had a near miss with a car and was then driven off at speed in the direction of Kidlington. “We would like to speak to anyone who witnessed this vehicle and this incident as they may be able to help with our enquiries. “We would also like to hear from anyone who witnessed this assault and the kidnap of this woman. Anyone with information is asked to call 101 quoting reference ‘43180188641’, or contact Crimestoppers anonymously.